Senate Bill 1714 and its companion House Bill 1365 will allow changes to state education law to put in place competency based education programs. Other names for competency-based learning [CBE], include performance-based, proficiency-based, and mastery-based education, as well as “customized” and “personalized” learning. Definitions of CBE are called “a work in progress,” and include life-long data and socioemotional profiling, a significant emphasis on lower level job skills, and a focus on much more subjective psychosocial, non-academic attributes and skills. While there may have been positive examples of CBE used in classrooms in the past, the bills that are currently being pushed through the Florida legislature completely change the definition of CBE that most educators are familiar with. The technology component will redefine the role of the teacher from educator to facilitator and significantly minimize human interaction in the learning process. We believe students learn best from face-to-face human interaction. In addition, CBE will allow a massive increase in the amount of personal student data collected and shared both in our public schools and with the Department of Labor. Currently, education is the 4th largest industry and the most data mined industry in America. The amount of data collected from students and shared by CBE vendor programs (including very subjective psychosocial data), can be one million times more than what is currently collected and shared on Facebook users. One education technology CEO bragged that their company picks up five to ten million data points from Pearson Common Core education curriculum per student per day. There has been little to no formal discussion regarding the impact of expanding these pilot programs, and this bill gives the Florida Commissioner of Education the ability to expand it to every county, even before any results are reported. If you live in Lake, Pinellas, Palm Beach or Seminole County, you are part of the pilot program and this bill will bring CBE to your schools immediately. For all other counties, it will be fully implemented within five years. These programs emphasize lower level job skills and social emotional skills at the cost of academic knowledge while diminishing the role of teachers and harming the student-teacher interaction. Gates Foundation-funded programs and technology education programs such as this in general have a long track record of failure and high cost. There is information showing Gates funding for only two (Lake and Pinellas) of the four counties covered in the bill. This means that the counties (Palm Beach and Seminole) or state taxpayers will likely have to pay for this experiment. The most recent Gates-funded experiment in Hillsborough County was a disaster, and ended up costing taxpayers millions. The language of the bill will ensure district-wide implementation of CBE before the results of the pilot are completed. There is no language about parental consent or pulling out of the five year program if students, parents, schools or districts change their minds or the program fails before the pilot ends. The bill has already passed in the House, and is now being considered in the Senate. We have just learned that the bill will likely be heard in the full Senate Appropriations Committee which will be meeting on Thursday, February 25th from 10 AM to 5 PM. It is imperative we take action now. Please e-mail and call the Senators on the Florida Senate Committee on Appropriates (information below) immediately and tell them to vote no to SB1714! Competency Based Education will be full of daily data collection, and will put our children’s personally identifiable information at risk. Very important! 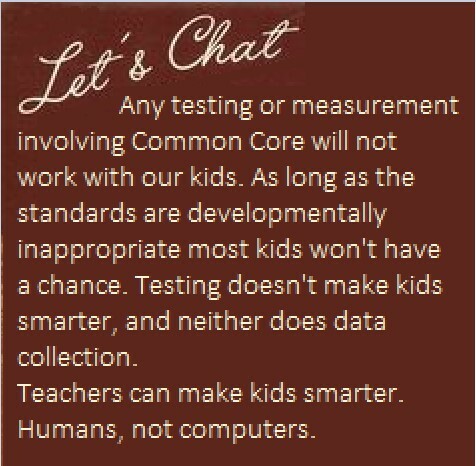 In addition to contacting these Senators, please contact your local school boards and superintendents and let them know you want your children educated by teachers; not data mined and taught by computers. When you send your email, feel free to include a link to this blog post as well as the additional links below. *The original call to action has been edited to reflect the withdrawal of Representative Smith’s Amendment #045043, which suggested CBE in Florida would eventually replace the FSA. View a press release here.